It’s definitely the case when it comes to my choice of eyeliners. I know, if I could tell my 14 year old self that I would grow tired of black eye liner… I wouldn’t believe me. Bronze liners are just so much better. Infinitely more flattering. So much nicer to smudge. Just, better. 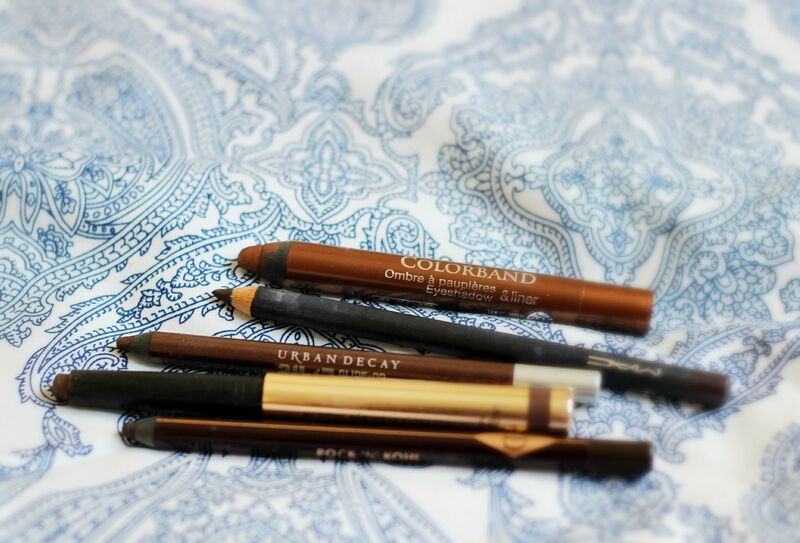 Me being me – hello – I can’t just have one bronze eyeliner. Why bother? Life’s too short. You need them all. My favourite of the bunch is the By Terry ombre blackstar in Brown Perfection, closely followed by the Charlotte Tilbury rock and kohl eye liner in Barbarella brown. Both are hardy enough to survive being smudged under my lower lashes and they stay there. The By Terry is deeper (full post here), but the Charlotte Tilbury formula is ever so slightly creamier. Hmm, can’t pick. The Bourjois colourband in Brun Dadaiste is a chunky crayon that takes two seconds to use because you just literally colour in your eyelid. Foolproof. The MAC eyeliner in Teddy is a bit of a classic, and one I find best used on the lid. Then because the formula is divine, the Urban Decay 24/7 liner in Bourbon has a nice metallic sheen.